Commonly referred to as bleaching, teeth whitening in Orange County, California is a process that will restore teeth to their whitest shade. Patients have the option of in-office or at-home teeth whitening to brighten stained, discolored, or dull teeth. 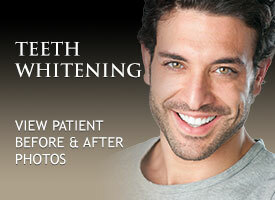 Teeth whitening is one of the simplest and safest cosmetic dental procedures available. In-office and at-home treatment methods both offer a solution to coffee stains, cigarette and tobacco discolorations, and an otherwise yellow appearance to the teeth. During the initial consultation for cosmetic teeth whitening in Orange County, CA, all aspects of a patient’s smile are assessed to help determine the best treatment plan and to ensure that the most aesthetically pleasing result is achieved. We at Art of Dentistry Institute want to ensure that your desired results are achieved in the best possible way. To find out if you are a candidate for professional teeth whitening in Orange County, CA contact us at 949-955-3366 to schedule a consultation. We look forward to hearing from you! Teeth Whitening Orange County. Professional Teeth Whitening Orange County CA. Cosmetic Teeth Whitening in Orange County California.